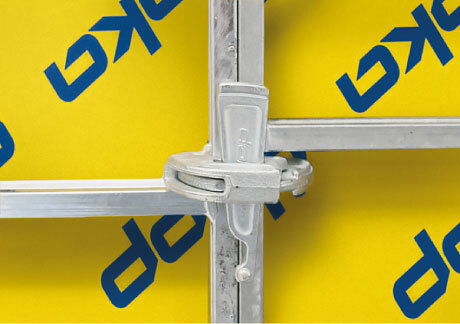 The lightweight Frami Xlife formwork, with its sturdy hot-dip galvanised steel frame, is ideal for fast and economical forming, with or without a crane. The frames of the panels are made of hard-wearing hollow steel profiles and are torsion-proof with no need for any extra stiffening. Their premium hot-dip galvanised finish gives them a particularly long lifespan. The Frami Xlife sheet delivers high numbers of re-use cycles, with outstanding concreting results. Its special surface structure prevents splintering and swelling caused by nail-holes. 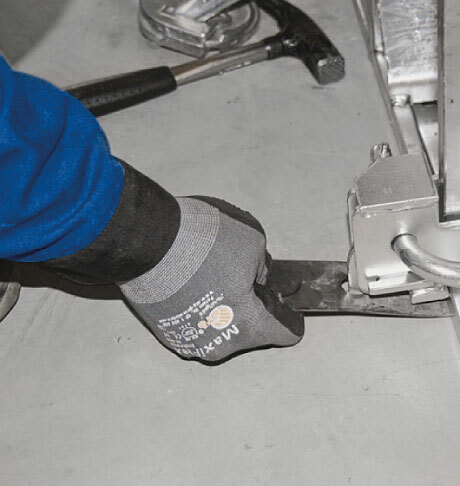 Just one blow of the hammer on the Frami clamp is all it takes to pull the panels together and achieve a flush, correctly aligned panel joint that is resistant to tensile forces. 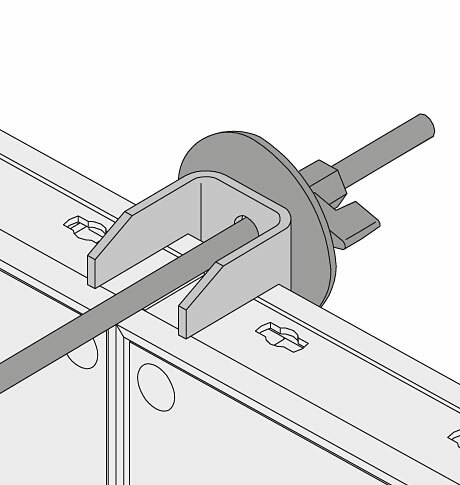 The continuous hardware slot in the frame means that the Frami clamp can be fixed anywhere on the frame. 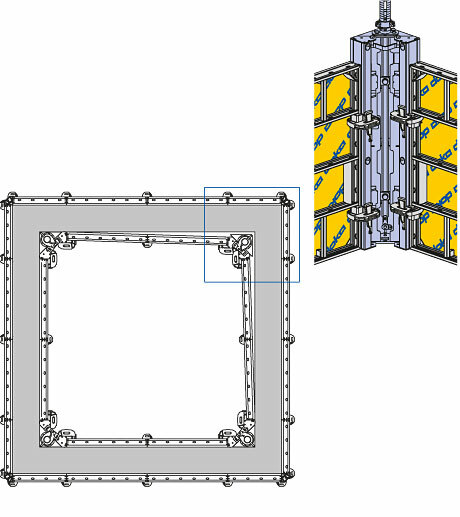 Because of this, the panels can be continuously height mismatched, i.e. without any pre-defined grid. 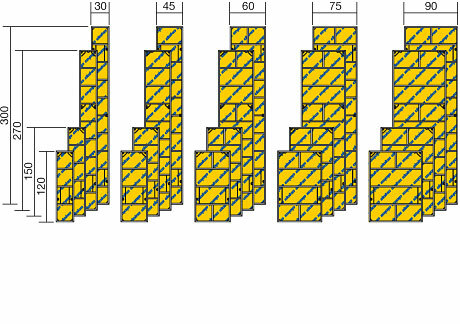 This means that the formwork can easily be accommodated to e.g. steps, slopes and uneven ground, with no extra work. 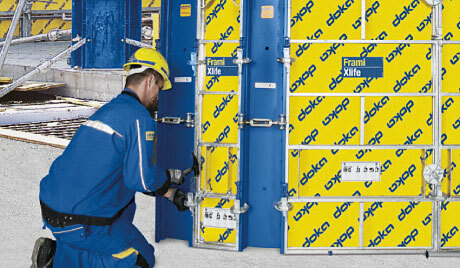 The Frami Xlife universal panels permit right-angled corners up to wall thicknesses of 60 cm, in a 5 cm grid. Obtuse and acute-angled corners are formed using the galvanised Frami hinged inside corners. 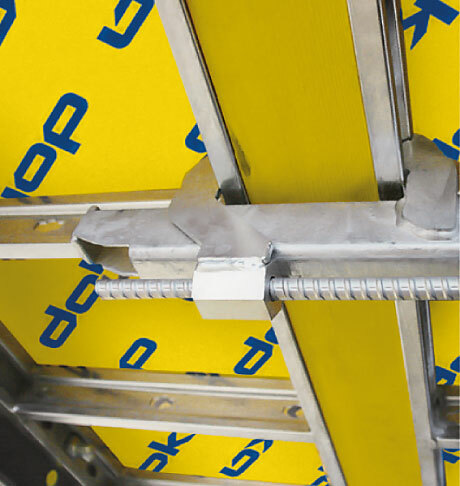 With its 15 cm clamping range, the Frami adjustable clamp exactly matches the panel size-grid. 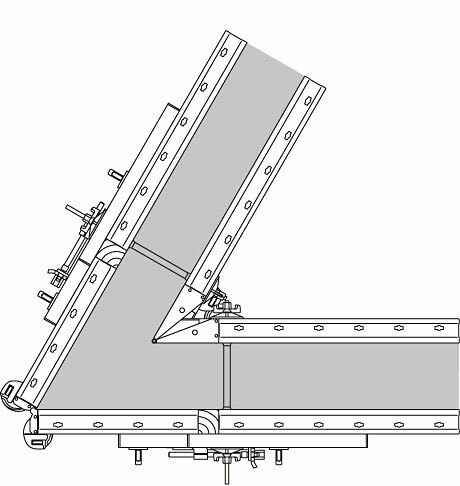 This means that only one closure is needed per wall plane. The Frami anchoring bracket relocates the top form-tie above the panel, which makes it easier to strike off the concrete. 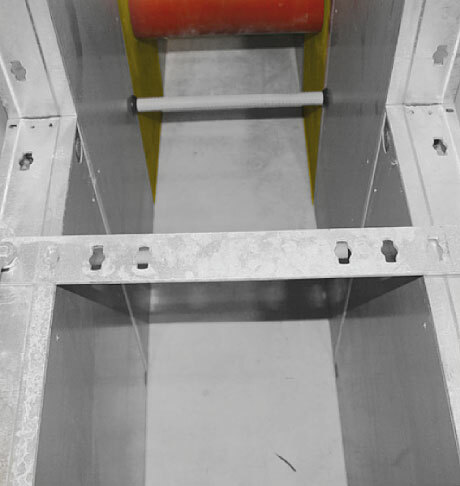 Foundation anchoring system consisting of a flat tie-rod and a foundation clamp, for wall thicknesses of between 10 cm and 80 cm in a 5 cm grid – without any ties placed through the concrete and without any supporting timbers. 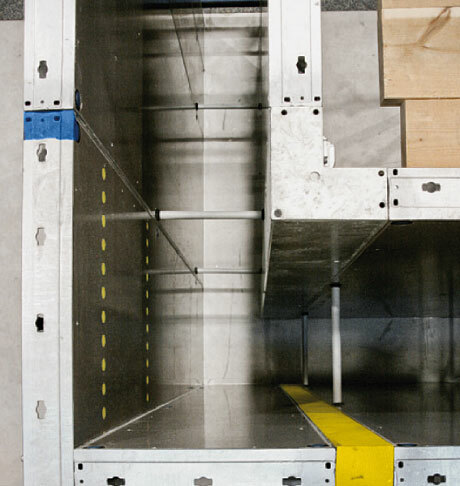 The bottom of the panel is fixed by foundation clamps and by a perforated tape with a 5 cm grid. The circular forming plate extends the applicational range of the panels to take in polygonal curves: an economical solution where the curve of the wall does not need to be strictly circular. The panels' robust constructional design and asymmetrically arranged form-ties allow even 270 cm high panels to sustain the full hydrostatic concrete pressure. 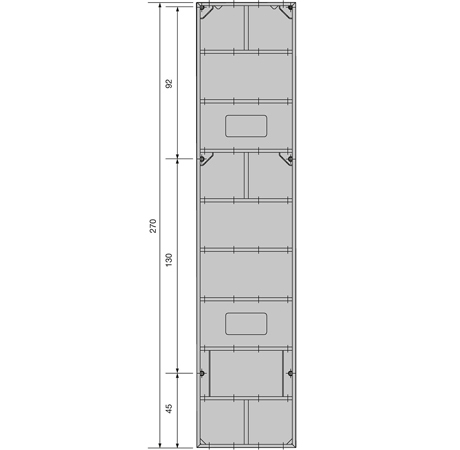 Only three form-ties are needed per 300 cm height of panel. An extensive range of accessories ensures safety during pouring, even for room heights of 2.70 m or 3.00 m that are poured in one continuous operation. 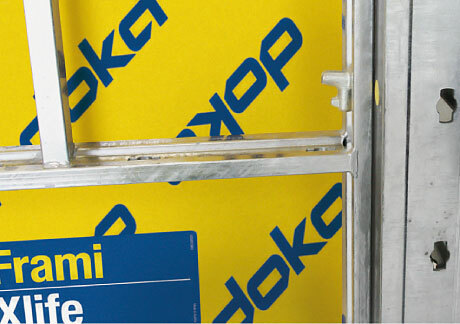 The special hole-grid of the 75 cm and 90 cm wide Frami Xlife universal panels makes them suitable for economical forming of stop-ends, outside corners and columns. 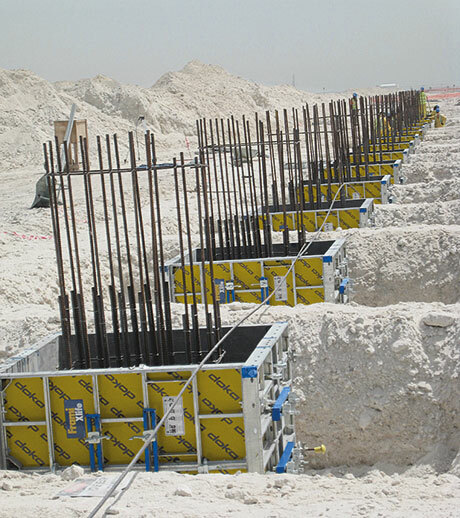 Placed on their sides, Frami Xlife panels are ideal for cost-saving forming of foundations. Thank you for your interest - Framed formwork Frami Xlife. 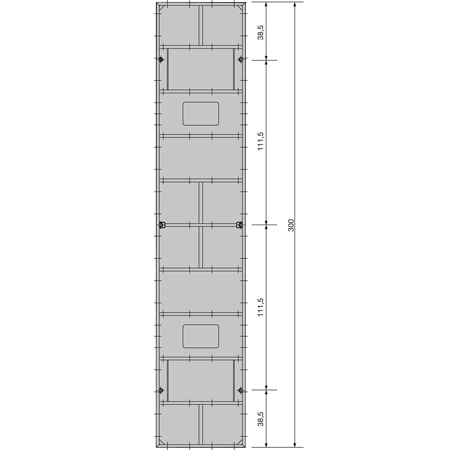 Thank you very much for your interest - Framed formwork Frami Xlife.